from completed build My multipurpose all in one computer. 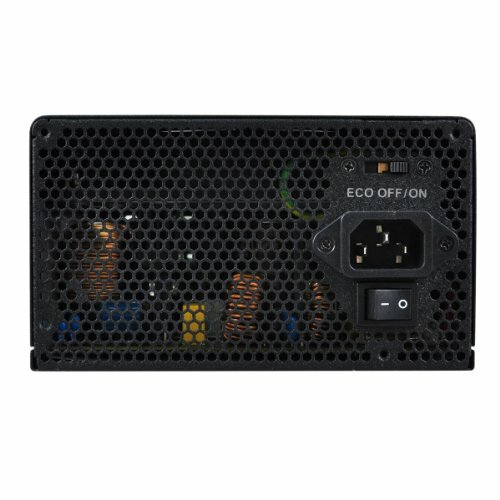 An amazing PSU, deadly silent & high powered. Great warranty & manufacture. So far so good. 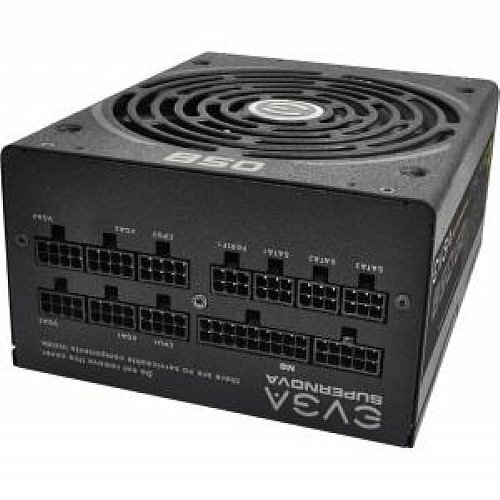 I bought this with 2 EVGA 980's in mind. Right now I have one and I have not OCed my CPU so it handles everything easily. This power supply is built like a Rolls Royce! The packaging, while non essential is beautiful! The unit comes in a well finished box packed inside a little EVGA bag and protected in a foam compartment. It is a similar case for the fully modular cables, they are in their own bag and individually twist tied. The powder coating (I think) on the outside of the reassuringly heavy unit has an excellent premium textured look that scatters the light to give a soft finish. It also features an eco switch on the rear of the unit which I am led to believe causes the fan to not even run until the unit reaches a certain temperature. What will appeal to the premium customer is the 80+ Gold efficiency, 10 Year Warranty and all Japanese capacitors. The cables are all braided in black webbing which can be a little stiff, this would be my only criticism. My Motherboard main connector was too close to the nearest cable routing hole in the back plate of my case to fit the bend in. This meant that I had to route the 24 pin connector through the next hole down. It wasn't a big issue at all as I had lots of room but in tighter cases it could cuase more issues. Deserves 5 stars, much cheaper than anything else of the same quality on the market, packaging is outstanding, and this thing comes with all of the cables you will need (all black too). Plus a TEN year warranty! from completed build BATPIMP's Mean Lean PIMP Machine! Honestly this thing is a beast. It gave me stable power to TWO r9 290s AND a OC'ed 8150fx. Now that is a power hungry setup and this thing never failed. I highly suggest buying this thing. Here is the calculator I used to help me. It was very accurate for me. I told it this EXACT setup and MANY people told me it would not work but it did. I can vouch for the accuracy of this graph. Works great, no issues. I use the mode where the fan is off unless under moderate to high load, and it works great. from completed build Xatalic's first gaming $2000 CAD Black, Red, Bit of Green and Blue build! This this was so easy to install, use and hook-up pins into. It did not use the old-style molex so that was good. It's fully modular and Gold 80+ certified. This will last me for several years to come even when I decide to upgrade!